With a stay at Urban Hotel Amadeos in Matosinhos, you'll be within a 5-minute drive of Cidade do Porto Park and Port of Leixões Cruise Terminal. This hotel is 0.9 mi (1.4 km) from Matosinhos Beach and 0.9 mi (1.5 km) from Leixoes Sea Port. 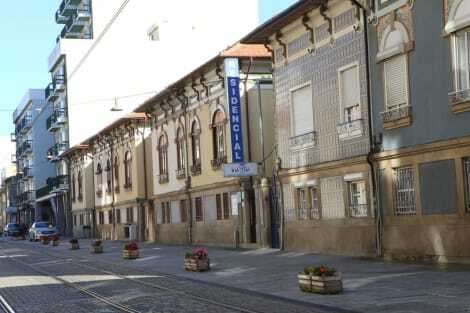 This property is located in the center of the historic town of Matosinhos. It offers 24-hour front desk free parking and rooms with air conditioning and free Wi-Fi. Rooms are simply furnished and feature cable TV, parquet floors, white linens and a private bathroom. A continental breakfast is served each morning in the trendy lounge Matosinhos. Just 10 minutes walk, there are several restaurants, bars and shops. It is a 3 minute walk from the park Jardim Basilio and less than 5 minute walk from the metro station Brito Capelo, which offers direct access to the center of Porto and Porto International Airport. Located in Matosinhos, D' El Rei B&B is within a 15-minute drive of Casa da Musica and Matosinhos Beach. This pension is 6.4 mi (10.3 km) from Porto Cathedral and 7.4 mi (11.9 km) from Ribeira Square. Friendly staff welcome you into our sleek monochrome lobby at modern Holiday Inn Express Porto-Exponor, just 8 minutes’ drive from Francisco de Sá Carneiro Airport and Porto City Centre. Our location opposite the Exponor convention centre means you can linger over a complimentary buffet breakfast and still make it to your morning meeting in time. Just in front of the hotel the 601 bus will take you to Porto City Centre in 20 minutes. 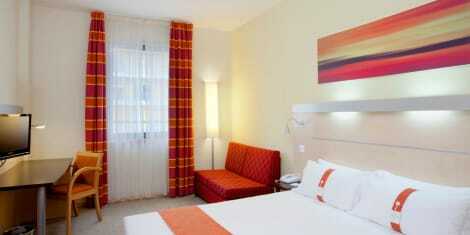 Relax with a flat-screen TV in your contemporary guest room at Holiday Inn Express Porto-Exponor. You can catch up on email with wireless internet at the well-lit desk, and make yourself at home with complimentary tea and coffee. Shop till you drop at the IKEA store in enormous Mar Shopping Mall. Or cheer along with passionate local fans at nearby Dragão Stadium, Porto Football Club's home ground. It's a short drive to the vibrant nightlife of Oporto City Centre and there are several Yacht Clubs within walking distance of the hotel. Ask 24-hour front desk staff at Holiday Inn Express Porto-Exponor to recommend their favourite local restaurants. After dinner, catch up with friends in our stylish Lobby Bar. Make yourself at home in one of the 33 air-conditioned rooms featuring refrigerators and minibars. Complimentary wireless Internet access is available to keep you connected. Bathrooms have rainfall showerheads and complimentary toiletries. Conveniences include phones, as well as safes and blackout drapes/curtains. 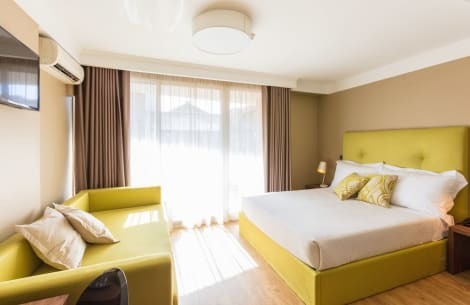 lastminute.com has a fantastic range of hotels in Matosinhos, with everything from cheap hotels to luxurious five star accommodation available. We like to live up to our last minute name so remember you can book any one of our excellent Matosinhos hotels up until midnight and stay the same night.